Perhaps inspired by Mary Hardin Baylor's new football palace, Texas Lutheran is building a new football stadium, and a host of other new facilities and improvements. Texas Lutheran is a private college in Seguin, just east of San Antonio for those of you who aren't citizens of the great State. The Bulldogs have played at Matador Stadium at Seguin high school since the program's return in 1998. The Bulldogs play in the Southern Collegiate Athletic Conference after jumping over from the American Southwest Conference. None of that matters to you people, but it matters to the Bud. TLU President Dr. Stuart Dorsey on the construction projects "Later this month, at Homecoming, TLU will break ground on the first phase of an athletic facilities complex: improved facilities for baseball, a new softball stadium, state of the art surfaces for track and field, and a football stadium," said Dorsey. "Our construction schedule calls for the new softball stadium and related facilities, including lights for Katt-Isbel baseball field to be ready this spring – in time for the 2014 softball and baseball seasons. The football and track & field stadium will be ready next fall." Exciting times for football at all levels in the State. TLU opens their season against brand new program Southwestern University in Georgetown on Saturday. 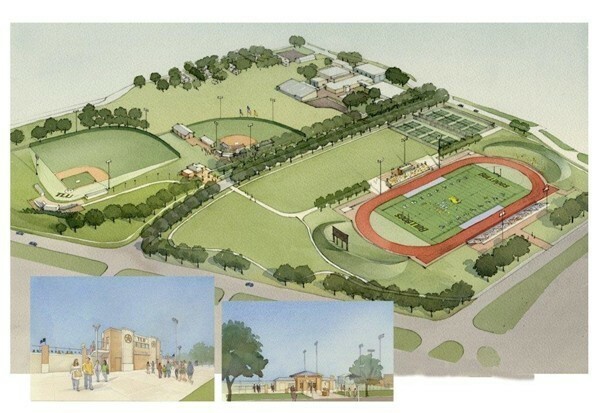 Posted on September 4, 2013 by Sure Bud and filed under Southwest Round-Up, Sports and tagged New Stadiums Texas Lutheran University SCAC Southwestern Facilities Roundup.